Turn off water supply and flush toilet to empty tank. Remove chain from flush lever. (If you are replacing a tank-type ball with a flapper assembly, remove the old ball, lift wires and tank ball guide arm, and discard.) Remove old flapper by sliding it up and off overflow tube or, for new plastic flush valves, bend flapper ears out and off pins on valve. 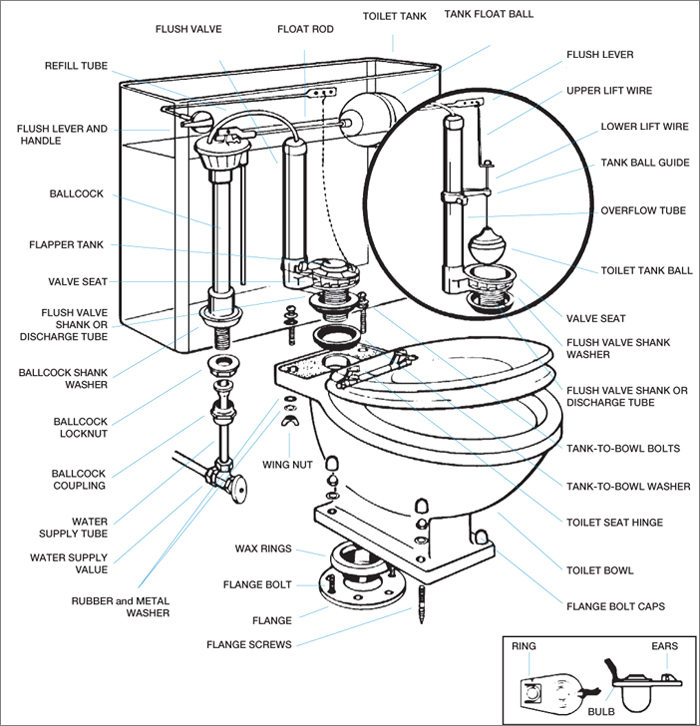 Replace new flapper by either (1), sliding it down over overflow tube until ring touches bottom of tank and then adjusting the flapper along lines marked “Cut” or (2), slip ears of flapper over pins on flush valve. Reattach chain to flush lever, adjusting length as necessary.